This autumn, find the best spots to be dazzled by Maryland’s rainbow forests of green, amethyst, orange and scarlet. As the air turns cool and crisp, enjoy Maryland’s beautiful sunsets and autumn in all its splendor on these unforgettable foliage tours and Scenic Byways. Don't miss Garrett County’s 51st Annual Autumn Glory Festival. The five-day celebration of autumn celebrates the beauty of the fall foliage in Maryland and includes two large parades, concerts, art exhibits, antique and craft shows and so much more! Explore Western Maryland's scenic byways, quaint small towns, historical attractions, trails, lakes and more on Garrett County's annual fall foliage tour. 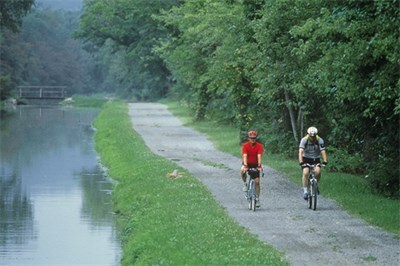 Perhaps the best way to see the trees is right up close and personal along the Chesapeake and Ohio Canal Scenic Byway. Seven visitor centers are spread over the 184.5 miles of the C&O Canal and the C&O Canal National Historic Park offers numerous hiking options, such as the strenuous Billy Goat Trail for advanced hikers. The trail rewards hikers with vistas of the surging Potomac River flanked by forests bursting with color. After the climb, enjoy a well-deserved lunch just a short distance from the trail. 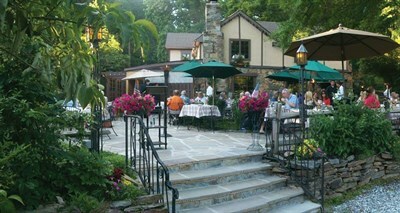 The Old Angler’s Inn offers large portions of creative fare in a charming outdoor setting, heated in the cooler months. 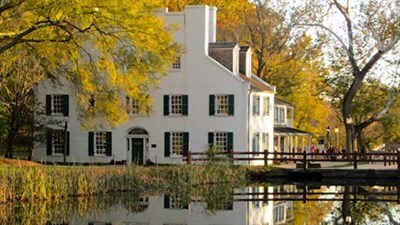 Later, ride a mule-drawn canal boat, which departs from the Great Falls Tavern Visitor Center. Aboard the slow half-mile canal tour, guides describe life in the 1870s and how the canal system benefitted industry many years ago. In nearby Silver Spring, the tree-lined crushed gravel path of the Capital Crescent Trail makes for a great short bike ride. For dinner, the city’s hub has great choices, from American artisanal cuisine to traditional Latin American dishes at Samantha’s Restaurant. 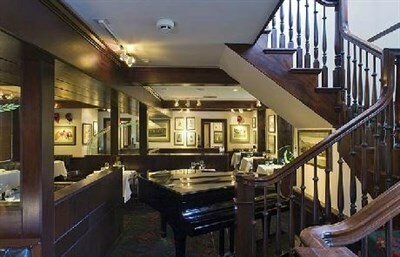 When the day is done, the small but charming Etta Mae Inn at Takoma Park’s Grahill-Davis Historic Estate makes a great stopping point, or stay at one of the many hotels right in Silver Spring. Located on a peninsula between the Chesapeake Bay and the Elk River, the combination of sandy beaches, serene marshlands and dense, colorful forests at Elk Neck State Park provides a diverse visual feast for nature lovers. From the Turkey Point parking lot off Route 272 South, it’s an easy one-mile walk to the historic Turkey Point Lighthouse. Located atop a 100-foot bluff at the southern tip of the Elk Neck Peninsula, the historic 1833 lighthouse lit the way for watermen for nearly 175 years. Climb 35 feet to its top for a spectacular view of the Bay waters and brilliant fall foliage. You may even spot a bald eagle soaring above the shoreline. 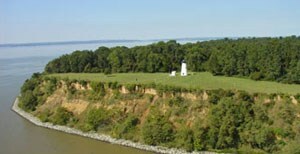 The miles-long view of the Chesapeake is certain to whet the appetite for water adventure. Just a short drive away is the town of Charlestown, where you can take in autumn’s colors from the water by renting a paddle boat, kayak, or pontoon. 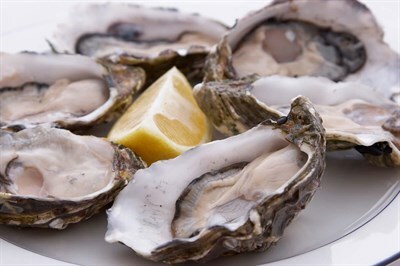 Dry off and dine where the locals do, with cheese steaks or stuffed Reubens at the Market Street Café, fine seafood at The Wellwood, or late-season crabs from The Rivershack. When you’re ready to turn in, set up camp right in the middle of Mother Nature’s color show at one of Elk Neck State Park’s 250 campsites or 15 furnished cabins. For fall foliage viewing from the comfort of the car, drive to Valley Overlook in the Hollofield area of Patapsco Valley State Park. From there it’s just a short jaunt to Ellicott City’s Main Street, lined with antiques stores waiting to be mined for treasure. Deep in the heart of Baltimore County’s horse country is Oregon Ridge Park. Its hiking trails, beach, and the great playground for the kids are even more spectacular amidst a tree-scape of yellow, orange and red. After the morning’s explorations, the newly renovated bluestone patio at the Oregon Grille is a gorgeous venue to soak in even more outdoor beauty while enjoying a delicious lunch. Embark on the Horses & Hounds Scenic Byway and follow the winding back-country roads to Boordy Vineyards in Hydes, yet another glorious fall backdrop. Enjoy a wine tasting or live music event at this local vineyard for cozy way to end a beautiful day. Explore the places where history was made when you travel this Historic Trail. Check out these vibrant fall festivals and events celebrating books, food & drink, and fall fun. These vibrant festivals celebrate fall fun, and if your taste run more to the macabre, you will love these Ghost Tours & Haunted Attractions .